1. Medical emergencies: If you find yourself in a medical crisis and are worried about how to repay the bill, you can avail a personal loan via online loan app. 2. Vacation: You can take a loan to pay for your flight tickets or your family vacation. 3. 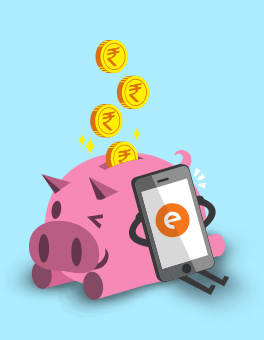 Pay your credit bills: We all have been in the situation where we need that extra money to pay for the credit card bill on time to avoid extra charges, personal loan app can help you with that. 4. Home renovation: People use online loan app for home repair expenses or renovation too. 5. To buy a new asset: Want to buy that new phone which is trending? You can apply for quick cash loans to buy any new gadget you desire. 6. Unexpected expenses: We will in a world where there are unexpected things happening every now and then, quick cash loans can be used to fulfill that need. 7. Educational purposes: Want to study more for professional growth? You can apply for a loan with a personal loan app for educational fees. 8. Finance your business: Have an awesome idea? But need little financing? Online loan app can help you get started with your goals. 9. Debt consolidation: Managing your due loans can be a difficult task. 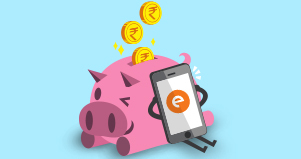 This is where online loan app can come into the picture to balance your finances well. 10. Festival shopping: Returning back home during festival shopping? Well, you can buy desired gifts for your family and friends with a personal loan online. • Personal loan app is available 24/7 online. You can access it from any part of the country you want, as long as you have a working internet connection and a smartphone. • The entire application process to get quick cash loans is much shorter compared to traditional bank loans. If you are in need of instant cash, online loan app can be a savior. • No lengthy paperwork is involved when it comes to getting a loan online. The documents required by a personal loan app are minimal which include your identity proof, address proof, and income proof. • You can get quick cash loans for a short period of time via online apps. The duration is normally 15, 30, 90 or 180 days. These allow the users to get a loan which doesn’t have a long duration as many people don’t prefer longer liability. • You will find that the online loan app provides much lower interest rates compared to the traditional financial institutes. The interest rates start from as low as 2.5 %. • Quick cash loans are unsecured loans. You don’t have to showcase any collaterals or securities, your valid documents are more than enough to get a personal loan.